Naughty Kitten: The Penny Hoarder Ipod Touch Giveaway! 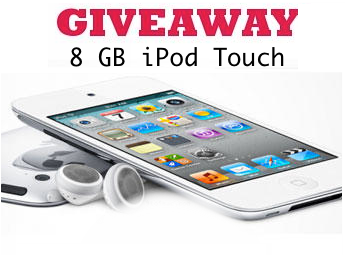 The Penny Hoarder are running an awesome contest and the grand prize winner is going to take home a brand new, white, 8gb iPod Touch! This is the 4th generation of the iPod Touch and it’s pretty neat looking. It has an HD video recorder, retina display and the brand new iOS operating system. They are using Rafflecopter to run this contest and you can enter up to 44 times! (16 regular entries + 28 possible entries from Tweeting). Fancy winning one?Join now HERE to try your luck!